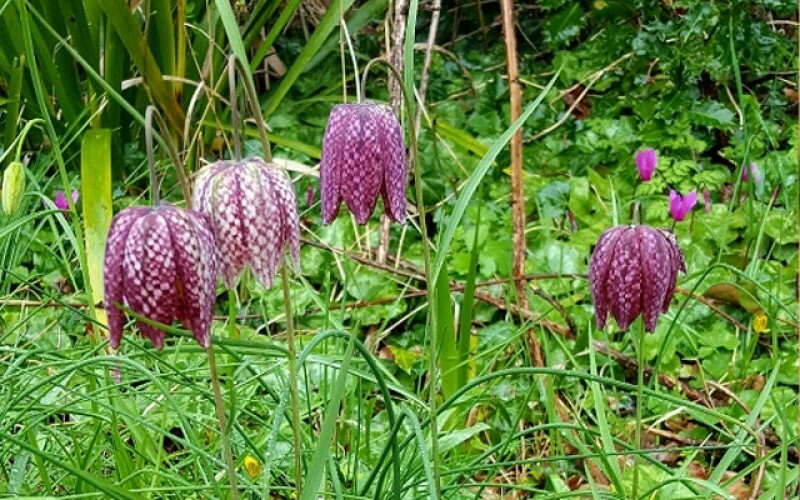 These stunning rare flowers have been spotted growing at Wild Place Project. They are purple and white chequered Snake’s-head Fritillaries and are now in full bloom. Once they carpeted river banks and wet meadows all over the country but they are now really uncommon because in recent years meadows have been drained and damaged. So to see them growing at Wild Place Project wildlife park just off junction 17 of the M5 is really special.